My third baby, Paleo Vegan-Plant-based Primal Recipes, was born. It’s still listed in the top 30 “Hot New Releases” in Amazon’s cookbook category. ALL cookbooks, not just vegetarian or vegan. It’s topping Amazon’s bestsellers in not only the vegan and vegetarian categories, but in the paleo category as well. The only vegan book to do that. “Bout time! 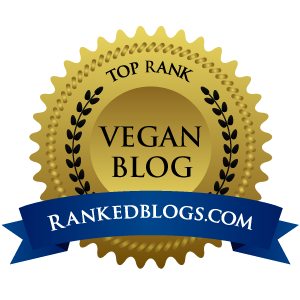 “Veg News,” the largest US vegan magazine, included “Paleo Vegan” in its “Top 15 Most Intriguing Books of 2014.” The same week, Fox TV stations in Tampa and Orlando ran a story about my vegan running. “Paleo Vegan” has been ranking in the top 1000 books on Amazon out of their 10+ million books. I got the idea to write the book two years ago after a book signing at Orlando’s Earth Day. At a restaurant, while ordering vegan, the waitress said, “I used to be vegan, but now I’m paleo. I lost so much weight.” Friends with me go, “What’s paleo?” Being a certified personal trainer and running coach, as well as a competitive runner, I knew bridge-building was in order. Running friends talked about how paleo was recommended in Cross-Fit gyms. I read many popular paleo books. Many read like high-protein diets, such as Atkins that I had tried decades ago. High protein diets can work for short-term weight loss, but often at the expense of the heart, kidneys and other organs. Atkins eventually morphed into healthier choices, as more followers abandoned bacon, eggs and steaks recognizing that whole plant foods best maintained optimal health. Many paleo books allow for cheats because they recognize we need carbs. Endurance athlete authors like ultra-runner, Scott Jurek, and body builder, Robert Cheeke, have blown the cover off the vegan myths, “You can’t get enough protein…or whatever.” As so many of us out there on the fitness circuit have shown, you absolutely can. The more I hear people at races tell me you can’t run on “just” plants, as I’m standing there holding my now 67th 5K or longer age group award, the more I want to race to prove you can. Research shows that the healthiest cultures get abundant protein and energy with plants. I’m 7th in the US in the W60-64, 10th in the 400 meters. Unlike most colleagues at the National Senior Games, I don’t train full-time or hire coaches from university teams. I’m a weekend warrior writing constantly when not training clients or leading cooking classes. I’m more of a sprinter than an endurance runner. It is rare for anyone with my sprint times to have ever finished a marathon. I’ve done 2 full and 6 half marathons, placed in one. 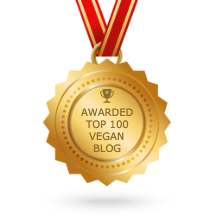 I credit it to staying injury free from a healing, low-inflammatory plant-based diet. I wondered if I could combine paleo and vegan so that vegans could combine the best of both worlds. A vegan diet doesn’t always guarantee optimal health. Fried, processed foods can be vegan but unhealthy. The more paleo books I read, the more I found variations. Some said dairy was taboo. Others encouraged ghee, lard or tallow as “healthy.” As ridiculous as I thought that was, more fitness friends embraced the concepts. So “Paleo Vegan” includes healthier plant fats, if readers want to include that. Given that I speak/cook/run around the country, I felt lucky my publisher asked if I’d like to partner up with gourmet chef Alan Roettinger for recipe brainstorms. Our Paleolithic ancestors were more gatherers than hunters. The odds of finding wild game and catching it on hunting trips weren’t great. Women back home tending the families were foraging for ferns, seeds, nuts and berries. Fossil records show mainly animals, few ferns. No Instagram in the Paleolithic era. Time for vegans to reclaim the paleo title.